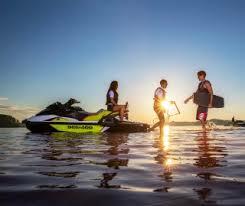 Utah Lake jet ski rentals, PWC rentals, Personal Watercraft for the wakeboard, waterskiing, and water enthusiasts. Affordable boat rentals and water sports lessons. 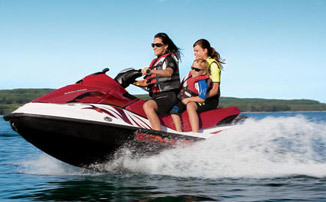 At Goplay Utah Lake we take pride in offering the best in personal watercraft, waverunners, jet skis and boat rentals. You can rent on our personal watercraft with a wet suit,tube,and skis in one of our water sports packages and enjoy an unforgetable ride. All of our watercraft are 130 HP or more and are 3 seater big enough to pull a tube or wakeboarder. We maintain high standards for performance making sure you have a reliable watercraft for you Utah Outdoor Aventure. 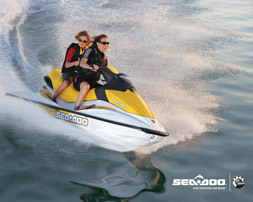 New Sea Doo Wake Pro 215 The Sea Doo WAKE PRO 215 add more to you water sports tow experience with a supercharged engine. The hull has added stabilty for towing wakeskaters, wakeboarders and tuber. Many added features cruise with tow settings, rack for boards and pull pylon. 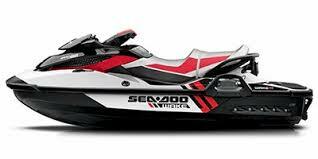 This is a great Jet Ski Rental for a water sports tow. Goplay Utah Lake is Utah Lakes’s premier source for water craft rentals. Rent a jet ski on site and enjoy the convenience of already having your water craft at lake side (ONSITE). Many would rather do a traditional rental (off site) where you hook up and pull to the lake yourself (OFFSITE). TK watersports offers off site rentals that can be trailered to other destinations.